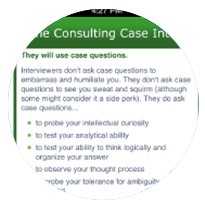 The proven system to prepare, perform and ace your consulting case interviews! With over 25 years of experience coaching and preparing thousands of top MBA students, Cosentino offers you the expert advice you need to land a job in the competitive field of management consulting. Ace your Consulting Case Interviews! Thorough preparation and practice is key to acing job interviews. This is especially important for consulting case interviews where candidates are expected to provide sound, well structured business solutions for specific problems and scenarios within a limited timeframe. 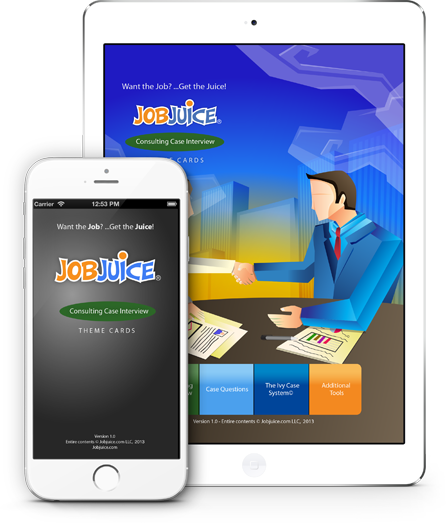 The Jobjuice Consulting Case Interview App is a complete quick reference guide developed in partnership with Marc Cosentino, the renowned Consulting Case expert whose Ivy Case System© and Consulting Case books have helped thousands of business students and professionals ace their case interviews and land dream jobs at top consulting firms. The App is based on Cosentino's book Case in Point, referred to as the case preparation 'Bible' for business students by the Wall Street Journal. The App takes you through the key elements of a consulting case interview so that you know what to expect and then teaches you a proven method to effectively analyze and solve business problems. Cosentino's Ivy Case System©, included in the App, helps you organize your analysis in a way that you can layout a Case and its solution in a consistent and professional manner. 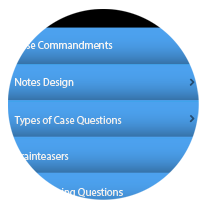 The app also provides you with interview tips specific to consulting and case interviews plus case tools you will find useful in your case analysis. If you're a business student or graduate looking to break into consulting, the Jobjuice Consulting Case Interview App is an indispensable tool for successful case interview prep. The Consulting Case Interview. 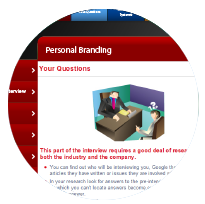 Gives you an overview of the Consulting interview process and interview tips to help you prepare. Case Questions. Details the case commandments, the types of case questions you will get during a Consulting interview, plus tips on how to approach them and how to take notes and organize your answers. 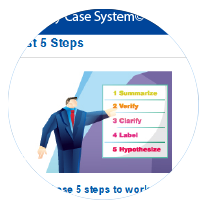 The Ivy Case System©.Walks you through Marc Cosentino’s case solving system, details the key case scenarios with examples and provides you with the steps to solve them. This section also gives you great tips to help you present your answers in a sound and professional manner. Additional Tools. Presents extra frameworks and tools that you can use to analyze business problems and solve cases.